30 Day Diet & Exercise Challenge! What Vision Do You Have For Your Future Self? TGIF! Today is day 2 of our 30 day challenge and I don’t know about you but I am EXCITED about this month’s challenge! I was out on a hiatus during the month of September to recuperate from surgery that took place in my throat but I am well on my way to recovering all and I have been released by my doctor to start exercising again! So you can imagine that its great to be back in it to win it! During my hiatus I gained about 5 pounds. So that goes to show how important the part of exercise plays in your daily routine and it’s impact on your weight. Well now I’m back and I am ready to get it in! What about you? Make today great & healthy! We Are In The Final Stretch Of The Challenge! Happy Monday Everyone! I hope you had a great & healthy weekend! Today is day 22 of our challenge! We are in the home stretch of the challenge now! It is our weigh in day so weigh first thing this morning and let me how you did! I can’t wait to get your feedback! Respond to this post or send me a private message to let me know how you did! 🙂 I’m happy to report that I lost 1 pound this week! Just know this whatever the scale says you are still a winner! Weight loss and getting healthy is not an event it is a journey! So hang in there even if the scale doesn’t reflect the weight you hoped it would. Make this week really count. Stay focused on your goal & make this week great, healthy & active! http://www.monicaakerele.com by clicking on the 30 day challenge picture. It’s been 1 week since I released my new single Trust In You! I just wanted to take the time to thank EVERYONE who has supported me with this release. Please forgive me because this thank you list is looonnng…lol I want to first thank God for blessing me with the inspiration to write the lyrics and the arrangement of this song and my awesome producer Christopher Bostic who produced this track and his awesome wife Karmel Bostic for holding down the alto/tenor BGVs with me and for doing my make-up for the photo. I want to also thank Antidote Creative Group – Emmanuel Threatt & Adrienne Threatt for doing the photography for my CD and Elizabeth Searle for designing the CD/MP3 cover. J-Stylz for being the studio engineer during my recording sessions. I also have to thank my immediate and extended family for their love, patience & support while I wrote & recorded this song and thereafter. Last but not least I want to thank Dr. Leon Threatt & Carol Threatt for allowing me to debut “Trust In You” Live at CFA this past Sunday. If you downloaded the single Thank you, If you bought the physical CD, Thank you! If you came out to support me at CFA on Sunday, Thank you! If you prayed for me, Thank you, If you have said an encouraging word by phone, text, instant message or social media, Thank you! If you shared my “Trust In You” posts, website or videos with your friends & family on Facebook, Instagram & Twitter, Thank you! If you have offered to help me in ANY way I just want to say Thank you. If you have invited me to come sing and/or speak at your event and/or radio/tv show THANK YOU!!! I am overwhelmed by the love and support that you all have shown me. I pray that you will reap over and beyond 100 fold for that which you have sown into me. Much love to you all & God bless! 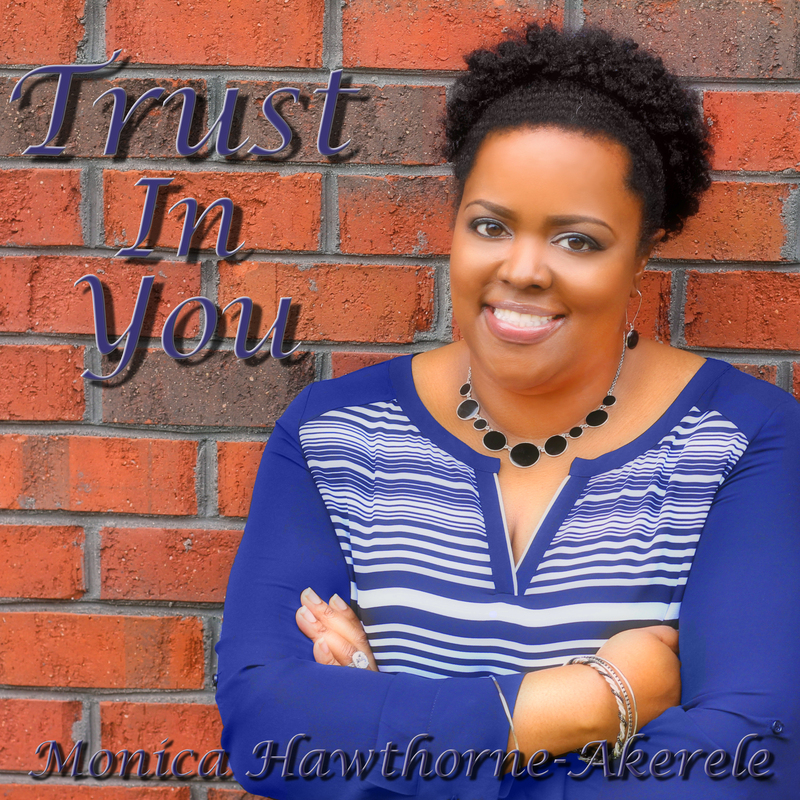 The official release of Monica Hawthorne-Akerele’s new single “Trust in You” produced by Christopher Bostic (CMGM) will be tomorrow, Tuesday, May 26th! Trust In You is available now for Pre-Order on Amazon for 99 cents! Please share this post with your Friends & Family! Thank you for your support! Go to www.monicaakerele.com for the download links and to stay connected with what I am doing in music, diet & fitness! What Will You Do Differently This Week? Happy Saturday Everyone! It’s Day 22 of our 30 day challenge and it’s Weigh in Day!!! How did it go? How many pounds have you lost so far this month? You can either respond to this post or you can send me a personal message. I have lost 5 pounds so far this month! 5 is the number of God’s GRACE and it’s been exactly that which has empowered me to accomplish that so far for this month! I am looking to lose 2 more pounds during the last week of the challenge so I can finish the month strong with 7 pounds lost total for the month of May! 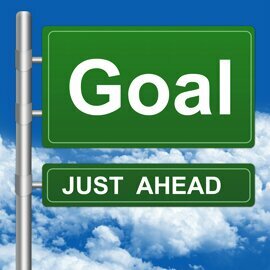 What is your goal for this last week of the challenge? What will you do differently this week to make it happen? I recommend adding in an additional workout. What has helped me to get out of the weight loss plateau I was experiencing in April was to add an additional workout in so I workout first thing in the morning then again at lunch or sometime in the evening. That is exactly the push I needed to get my metabolism revved up again for weight loss! I also added more strength training to my exercise routine. I literally strength train a different area of my body 6 out of 7 days of the week. So I might do legs on Monday, Arms on Tuesday, Back on Wednesday, Shoulders on Thursday, Abs on Friday and so on… I do at least 30-45 minutes of cardio 5-6 days a week. Tell me what your plan will be for the week! Let’s go hard this week and finish strong! You CAN do it!!! Let’s get it!!! 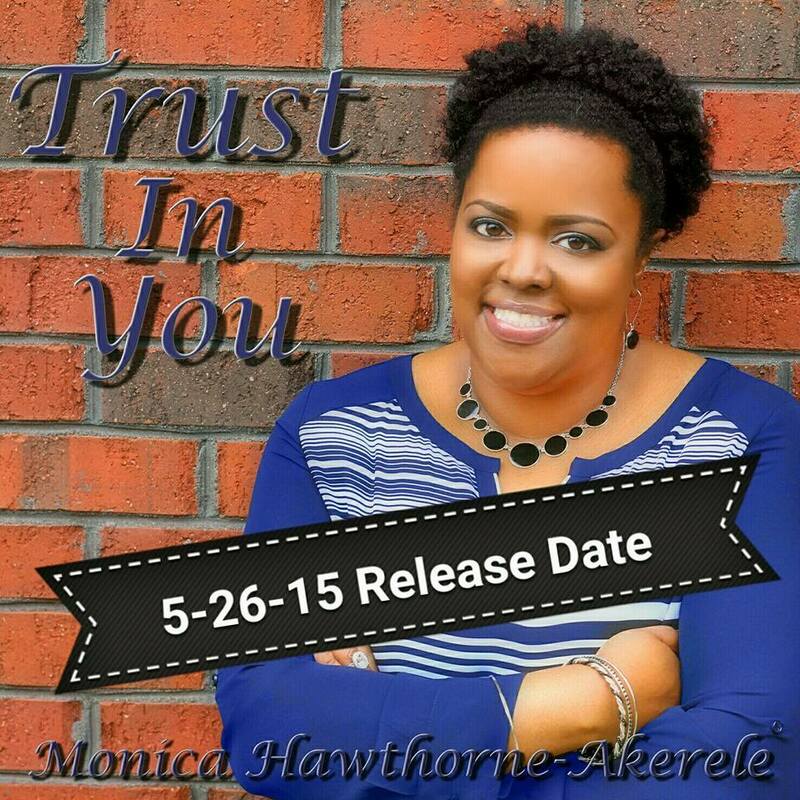 My new single titled “Trust In You” will be released on iTunes, Amazon, Google Play & all other digital music outlets on May 26, 2015. Click here to get a sneak preview of it on SoundCloud https://m.soundcloud.com/monica-hawthorne-akerele/my-new-single-trust-in-you. Stay connected with me on here and on my website at http://www.monicaakerele.com also join me on my next 30 day challenge beginning on June 1st, 2015!!! Let’s get it!!! Your April 2019 #Keto #30DayChallenge Starts TODAY!!! 1 Week Left in Our #Keto and #IF Challenge! Let’s Go! Your March 2019 #Keto and Exercise #30DayChallenge Starts Today!!! Finish February 2019 #Keto Strong!! !